Just thought I would give you all a little update. It is finally summer so I finally have time to do something other than school. I am still working at Shady Acres Farm and riding and training and all that jazz. 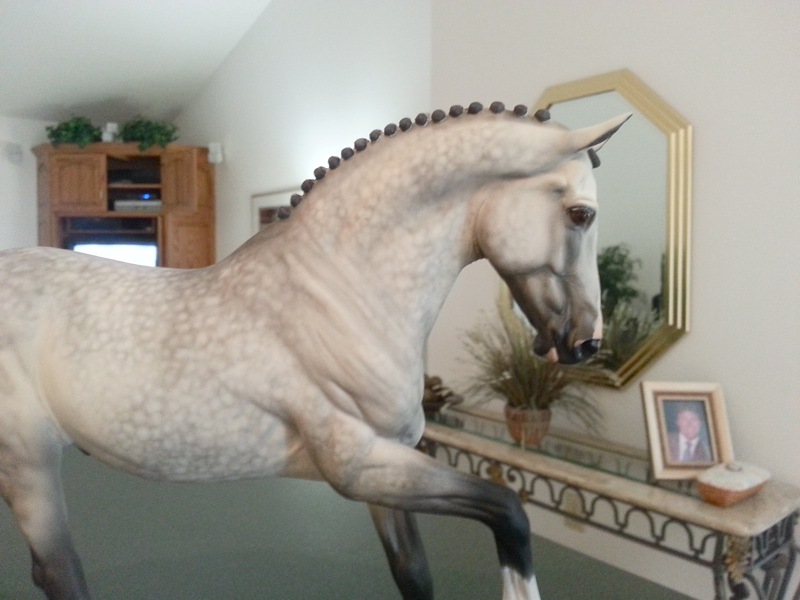 Although, I am actually horseless right now. You should follow my new blog which covers my search for a new horse and everything else horse related :). What has everyone been up to? Hope all is well! 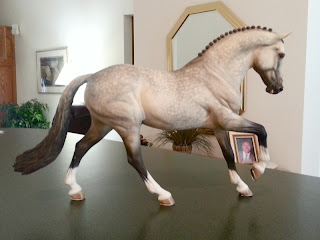 I just wanted to let you know that I took the leather halter, mare ID collar, and foal slip you made for me a while back, to the BreyerFest Open Show this year. I entered my horses in the Scene class wearing the tack you made for me and ended up winning fourth place! There were lots of other really cool, complicated scenes, so I was incredibly surprised with how well my scene placed. I just wanted to let you know and thank you for making the tack for me. I've attached a few pictures for you to see. Thanks. How awesome is that? I am just thrilled! I am so pleased to see that my tack, that I put all that hard work into, did well at Breyer Fest! Thanks so much for sharing, Lindsay! Congratuations! After almost two years, Valentino is finally back! He is home! He is safe! He is alive!!! Okay, so he really isn't alive, but you get my point. After sending him out to get his tail crack fixed after the live show I took him to, I never got him back! Finally, he has arrived :). I am ecstatic! I am so, very happy to have him home! I tucked him safely away into his curio cabinet and have a feeling he won't be leaving there any time soon. Of course I snapped a few photos. Isn't he handsome? I am so in love and so glad he is home :). I got a job! Not that I haven't always had a job, but I got a more fitting job: I am going to be managing a barn! 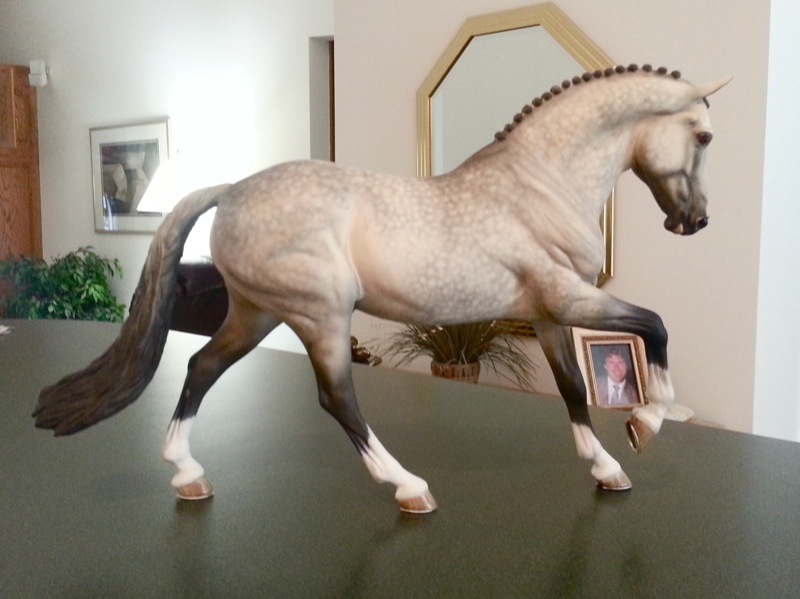 I am probably not going to have any time to do anything model horse related this summer. My goal was to get back into tack, but I don't see that happening. What really frustrates me is I have all this leather and hardware lying around, but not any time to do anything with it. Bummer. I will probably continue to post here and there on this blog this summer, but my blog with Sonny will have a majority of the updates. Here are some other cool photos I got from Equine Affaire. Enjoy! For the first time in years, Linda Parelli showed up at Equine Affaire! Wow, what an experience! I learned a ton in just those two days that she did demos! 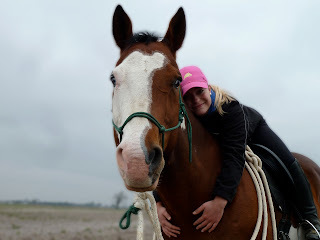 Needless to say, I have lots of parelli photos. Here are some for anyone that would be interested? The most important photo: Melissa and me with Linda!! Wow, it sure has been a while! I am still alive, and doing really well! 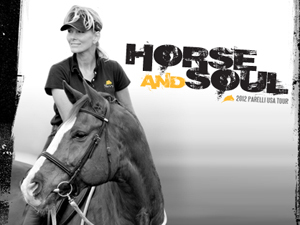 I recently was choosen to be an ambassador for Parelli for their 2012 Horse and Sour Tour! I am so excited and thrilled to be a part of their team! So along with that, if you are from Ohio (or close enough to come to the Columbus tour stop), shoot me an email and I can help hook you up with some information and tickets! Emily Rodgers 2011. Watermark theme. Powered by Blogger.